Is McCarthy's THE ROAD as great as everyone says? I am considering compiling in one place a timeline of real-world events from the ancient histories of our shared world's major civilizations (to build on what Brandon suggested in an earlier post) and invite the group to brainstorm about some of the points of historical divergence in each one, so we can start getting our timeline together. I found one possible glitch with our plan of including a Mesoamerican civilization in the mix: if it's to be one that exists roughly concurrent with Ancient Egypt, then we may need to abandon the Aztecs and go all the way back to the Olmecs. This should be fine, since what little is known about the Olmecs seems to indicate that a lot of their culture was carried forward into the culture of later groups like the Aztecs. I'll read up on it some more later. It's occurred to me that this whole universe is going to be, almost by definition, full of non-white people, which I think is great. One thing we might consider when handling Egypt is that something of a controversy exists regarding the race of the ancient Egyptians. The prevailing scholarly consensus seems to be that its anachronistic to talk about race in the black versus white terms we have now when discussing the Egyptians, as they were probably neither. Many people adhere, however, to an Afrocentric approach to the topic and insist that the Egyptians were black people in the same way that most sub-Saharan Africans are now. This point of view is understandable as a reaction to old-style racist European treatments of history which tended to assume that any people who had an impressive civilization must have been more or less white and the result of Indo-European immigration. The historical evidence seems to support neither extreme but offers a lot of indication that there were both black and olive-complected people in ancient Egypt. Just something to consider when we get to the point of imagining ancient Egyptian characters. I think it's time we finally nailed down which major cultures we will be starting with, and once we have them we can begin to develop a timeline. So we have the Egyptians and the Olmecs. We've already talked quite a bit about some Greek-like civ, depending on the exact starting point (which is something else we need to pin down for certain before we can go much farther). China also would be in here. I propose, however, that maybe we create a brand new civilization, although not quite from scratch. We toyed earlier with using some African culture as a major civ, but seemed to abandon it at the time because there wasn't really anything of significant size at our starting point. 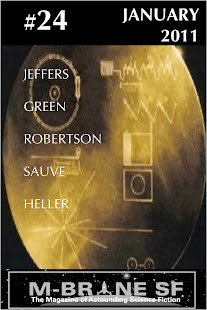 But if we go with the idea of the aliens just throwing down tech all over and letting people scramble for it, it would be likely that some groups might get a hold of some and use it to become greater than they ever did in our history. We can take a look at history and see what cultures might have just started emerging at that time and make them become powerful earlier, creating a new culture at once familiar and completely new. On a seperate note, I would really like to see diagrams of the various ether/protoplanet ideas, as it seems to me that most people have differing ideas of what the concepts really mean. Diagrams could help us understand it better so we can finally nail down the physics and rules for the universe. A very usable period of ancient Greece is concurrent with Egypt (Brandon got into this a little bit in that chunk of timeline that I copied into the Summary Document), and the Olmecs can be going on the same time as all of that, and China presents plenty to work with--they were going on at a fairly advanced level before any of the others and continued on for millenia. So I'd say those four civs for sure. We could make up a new one that didn't really exist back then, as Derek suggests, a civ that gets uplifted by the intro of high tech. There were in real history a couple of old sub-Saharan cultures that never actually reached "great civilization" status in the time period we're discussing that could be candidates for such a thing. Might be worth taking a look at what was going on in India also. In any case, I think we're looking at the big divergence from real history happening somewhere from mid-second millenium BC up to maybe 500-400 BC. I'll try to dig into this some more tomorrow after I get back from work. 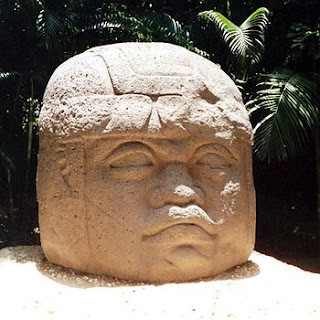 Btw, I did find some more info on the Olmecs: Yeah, they are the direct precursor to several other mesoamerican civs such as Toltecs, Mayas and the Mexica (aka the Aztecs) and pretty much laid down the blueprint for all of them. And they were around at the right time to get uplifted concurrently with Egypt, Greece and China. India has a long history and relatively advanced culture at the times we are discussing. Also, the Persians were pretty powerful for a time and another culture that could have become more dominant given the tech. I'd suggest that diverging from cultures we recognize on a pop history level is going to be what makes this accessible to readers. Though, maybe the big civs as background, a lesser one could be included: some unknown African kingdom, etc, that gets the tech and runs with it. The idea that I suggested at one point to keep from limiting everyone too much is to establish starting conditions and then amend the cannon as stories are accepted, allowing for unplanned stuff to occur that wasn't explicitly stated ahead of time. And here is a great example of where the CC license helps the creative process: Derek creates a rogue society that innovates beyond the Egyptians.... other writers can then go on to extrapolate based on this. Another thought: we have a magazine issue worth of stories to pull together a coherent swath of history. Though we may understand there is a vast range of societies that are affected, and more major players than Egypt and Greece, I wonder if we need to think about the breadth of our focus so that we do end up with a series of stories that feel a part of the same historical sequence? --That is a really long sentence... wow. Anyway, just a thought... I know there is some excitement to the other societies, but do we also need to think about a over-arching story, historical sequence, et al? Too many societies, and we will have good individual stories about slightly changed ancient societies, but no sense of how their sweep of history was changed. Maybe if this first issue is successful, we have a follow-up focusing on a diff group of societies? I'd suggest, if this makes sense, that we focus on those societies straddling the Mediterranean, but with comments and information about those other nations out there. I know you guys might disagree, but I wanted to bring it up and see. I'll get back to the civ thing in another comment later but I wanted to mention the ether/protplanet business again. Yes, it would be great to get a better idea of what this may look like in terms of a diagram of the solar system under these conditions. In an earlier post, Rick mentioned that he would try to come up with a representation of his idea of it to give us a better idea (which would be good, since he is probably the closest thing to a real scientist among us at the moment). I did try (after a couple of drinks) the other night to draw my idea of what I think Rick's protoplanet idea is, but it turns out that I can't draw my way out of a wet paper bag, and my attempt was entirely incomprehensible.